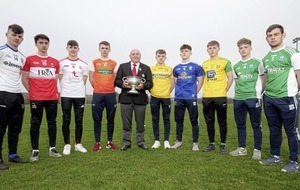 When Ballinascreen powered past Ballinderry and Foreglen to reach the quarter final, they looked the team to beat and 'keeper McConnell was their dependable custodian in front of the defence. Even though they lost to eventual champions Slaughtneil, he kept his third consecutive clean sheet, his safe handling, good fielding under pressure, positioning and well-placed kick-outs giving his defence great confidence. 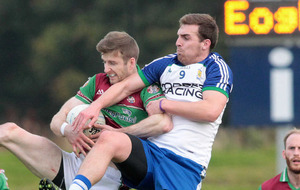 The former senior county defender was consistent and dependable throughout the campaign, one of the rocks of a well organised Slaughtneil defence that knew how to defend a narrow lead, especially in the games against Magherafelt and Ballinascreen and then in the final, where he helped, as sweeper, to keep a close eye on Colm McGoldrick. Time and again, he drove forward to turn defence into attack, rattling the bar in the final. One of a small number of players to captain back-to-back title winning sides. One of the best young players in the county, he has had an outstanding championship campaign, usually against the leading full-forwards. In the final, he conceded just one point from play on Colm McGoldrick and kept a watchful eye on the Owen Roe's dangerman over the hour. Very strong in the air, he was a commanding presence in the goalmouth, but frequently ranged forward with the ball to create attacking options for his forwards. The youngest player of the McGoldrick clan, he made his senior championship debut this season and his superb defensive displays on a consistent basis earn him a place in the championship 15, even if not in his regular full-back position. He had a terrific tussle with Slaughtneil’s Sé McGuigan until an ankle injury late in the first-half severely hampered him. He did get forward late in the game to create an opening for Ciarán Lenehan. One of the bright young stars of the future. The long striding centre half-back had to deal with Coleraine dangerman Declan Mullan and he did a fine job in the first-half, although the latter did cause bother in the final quarter. Throughout the run of games, he has been consistent in a variety of roles - in defence, midfield and attack - his super fitness, pace and ball carrying central to Slaughtneil’s defence of their crown. He brought energy and confidence to the team when they were under the cosh at various stages in games. If there was an accolade for ‘player of the championship’, the Eoghan Rua dynamo would be on most people’s shortlist, such was his role in Coleraine’s surge to the final. He may not be a prolific scorer - although he did get a point in the final - but his ball-carrying ability is second to none in Derry. He reads the game so well, is quick to snap up loose passes and breaks forward at pace with telling effect. His non-stop running from deep fuelled Coleraine’s attacking play, at his very best in the win over Ballinderry. An automatic selection. The young defender would have worn the number 4 jersey throughout the championship, but numbers mean little in the modern game. The left side of the defence was his main domain and his tight marking, excellent reading of play and tenacity ensured opposing players never got comfortable. 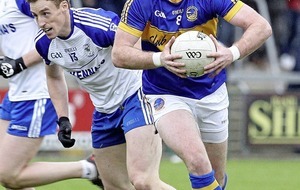 In the final, he did well to restrict the pacy Gavan McWilliams to a single point. Another player who played a crucial role in Coleraine’s championship run, with some powerful displays in the middle of the field where his high fielding gave Coleraine a significant foothold in the earlier rounds. He also dropped back to defend when needed and made a number of score-saving catches in the goalmouth. His long-striding solo runs often carried the ball away from the danger zone to set up attacks at the other end. On their league form, few people would have give the Tone's much chance of reaching the last four, but when you have a player with the steely determination of ‘Doc’ in the middle of the field, you have a chance. Against Glen, Coleraine and Loup, he was the driving force from midfield and, even in adversity, he battled defiantly against Slaughtneil in the semi-final. 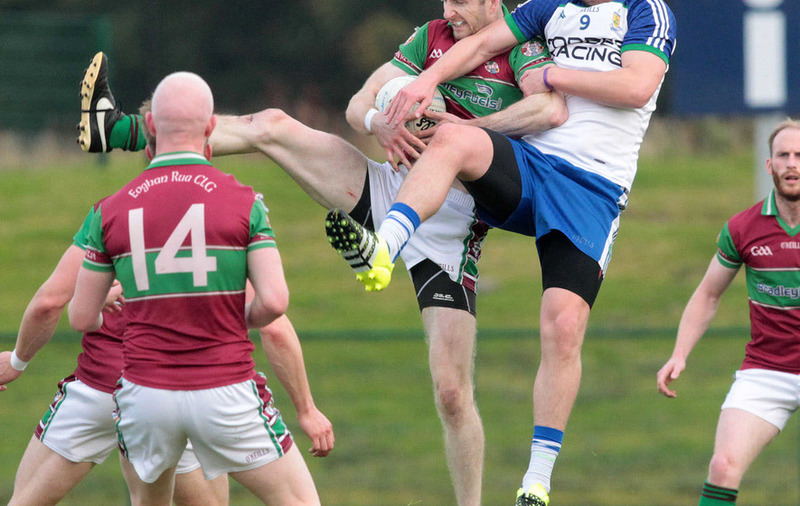 Now retired from inter-county action, Bellaghy will hope he can continue at club level. He was used sparingly in the league as he recovered from injury but, without ever hitting the high spots of last year, he played a consistently important role throughout the championship campaign. He scored the equalising point when Slaughtneil looked to be going out of the championship against Magherafelt and 1-2 in the semi-final win over Bellaghy. Time and again, he dropped deep in games to bring the ball forward, but still picked off scores in all but one of their games. He has been a revelation since moving to centre half-forward from the inside-line and was named man of the match in the county final. Over the course of the championship, he scored 0-22, his four points crucial in a low scoring final. But he will be particularly remembered for the wondrous free he converted from the 45-line against Magherafelt to keep Slaughtneil in the championship. Cool under pressure, he showed great vision and patience on the ball. He started the championship with a five-point haul from wing-back against Glenullin but, thereafter, spent the campaign in attack, where his strong running kept defences on their toes. He set up the goal in the win over Banagher in the qualifier, gave the Kilrea defence a torrid time in the quarter-final, similarly effective in the final quarter against Ballinderry and was their driving force in the late resurgence against Slaughtneil. While he contributed just one point in the defeat to Coleraine, he had already made his mark on the championship scoring chart with 3-27 in five games, his run of 0-7, 0-7, 2-3 and 1-9 taking Shamrocks into the semi-finals. His scoring versatility from frees and open play was matched by his composure on the ball and his ability to pick-out a pass to a well-placed colleague. He finished top scorer in the championship. The Slaughtneil management made a call at the start of the campaign to switch Paul Bradley out to centre half-forward and to position young powerhouse McGuigan on the edge of the square, where his aerial power could be used to win clean possession or break the ball down to colleagues on a consistent basis. He was the focal point of their attack and it proved decisive in the final as he drove into the square to fist home the match-winning score. Another player who was consistently good on the road to victory. After two rounds of the championship, the Lavey star was already a shoe in for a place on the championship 15. 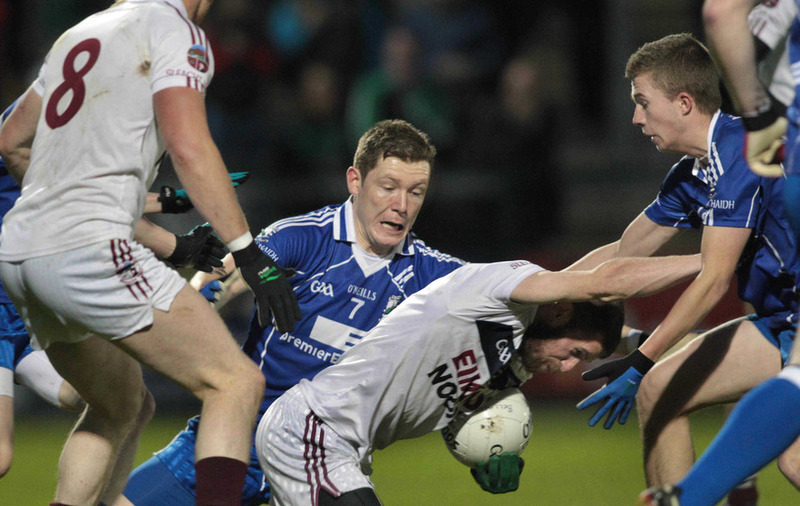 In the opening match, he scored 2-5 to power Lavey to victory over reigning champions Slaughtneil. He followed that up with 2-3 against Loup to take his side into the quarter-finals. Despite coming up against a dominant Ballinderry side, he scored 0-3 to finish second top scorer in the championship. He was also equally comfortable moving out to midfield when needed.